When it comes to recordkeeping, tracking a pile of receipts can become daunting, especially if you travel often for business and need to organize them for expense tracking, or you run your own business and want to take every write-off your company deserves. Using a receipt scanner and tracker can dramatically reduce the time and effort you put into tracking and organizing expenses and tame the tornado of papers and receipts floating around in your space. The best receipt scanners read your receipts and automatically extract key information, such as the date, merchant, amount spent, and payment method. Being able to access your receipts from multiple locations and create expense reports on the go is also a plus. If you’re looking for a traditional scanner for keeping tabs on your receipts, check out some of the best receipt scanners and trackers to use today. 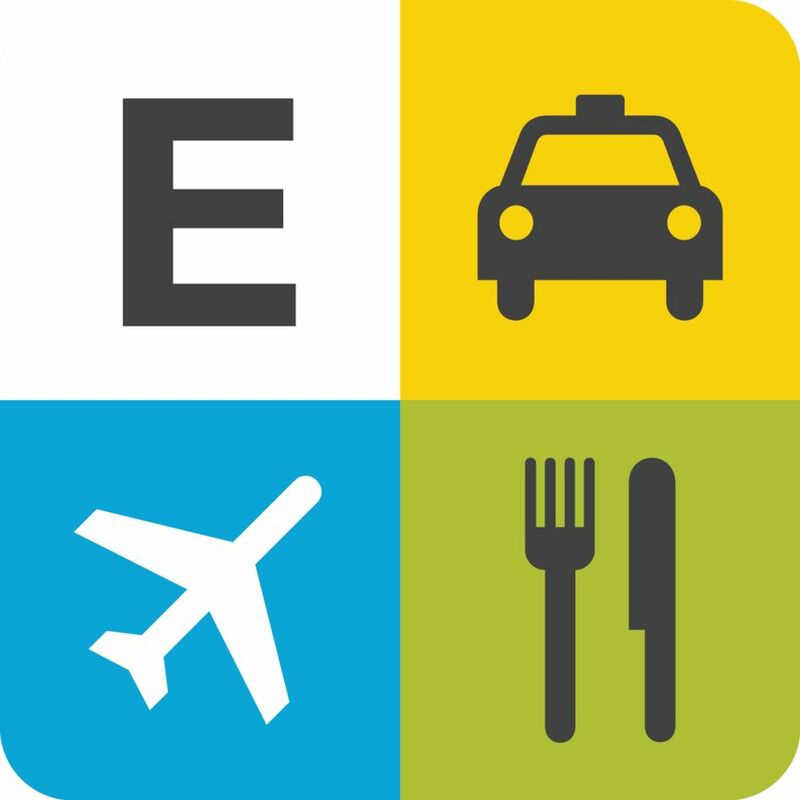 After launching in 2008, Expensify has gathered more than five million users worldwide, making it one of the most widely known receipt tracking apps. Expensify can submit receipts to your manager, collect receipts from clients, and track your personal expenses. After using your smartphone to take a picture of your receipt, the SmartScan feature automatically reads any important details. You can add a category to each receipt, then tag and group expenses for expense reporting. In addition to tracking expenses, the app also includes mileage and time tracking. As a manager receiving expense reports from employees, you have the ability to approve or reject expense reports. Approved expense reports can be reimbursed via next-day direct deposit. Potential downside: The receipt-scanning feature isn't always 100 percent accurate, so double-check the results against your original for accuracy. Use the Shoeboxed app to scan receipts and track mileage. The app extracts the most important information from the receipt: the merchant, the payment method, total amount, and the date of the purchase. What makes Shoeboxed great for tax filing compared to the other receipt trackers is that you can indicate whether each expense is deductible. When it’s tax time, you can easily export deductible expenses and receipts for your tax preparer. Shoeboxed also allows you to mark expenses as reimbursable for easy expense tracking for your employers. Automatically import receipts from Gmail. Create expense reports from within the app and send them directly from your phone without having to export to your computer or print them out. For mileage reimbursements, you can track mileage easily with the GPS function on your smartphone. If you need to, you can export expenses to a variety of accounting software, including QuickBooks, Outright, Wave Accounting, and Excel. Potential downside: ​If you scan items for reasons other than saving receipts, you are limited to saving as a PDF, with very few other options. Neat is a complete filing system with a physical scanner, scanning app for your smartphone, and online account access. The app accesses your smartphone’s camera to scan receipts, then extracts the most important information, saving you the time and effort of entering these details separately. If you need to give someone else access to your receipts—your manager or business partner, for example—you can share your receipts and expenses with necessary parties by providing view-only access to specific folders. The system even has the capability of storing comments on each expense item. You can also upload PDFs, images, and electronic receipts from your computer and file these right along with the receipts you’ve scanned from your smartphone. Sync your data across devices so that you can access your files from anywhere. You can quickly and easily create expense reports from your smartphone or tablet using the data from your receipts with a summary of your spending and an itemized list of your expenses. Potential downside: Neat isn't the most cost-effective option, although it does offer three payment plan levels. Smart Receipts is great for businesses and traveling consultants who need to track expenses, but also flexible enough for personal expense tracking. When you’re traveling on business, it’s hard to find the time to keep track of all your receipts and time-consuming to organize receipts once you return from trips. Smart Receipts is designed with those problems in mind. The app can be used to scan receipts and store them along with multiple types of account data like dates, comments, and payment data. Once you’ve stored your receipts, you can create customized PDF reports that contain a collage of receipt images along with your own categories for each receipt. Smart Receipts also gives you the ability to export your expenses in a variety of formats: PDF, CSV, and ZIP. Businesses can even white label the app to use as their own expense tracking app. Individuals can download a free version of the app from the app store, then upgrade to the premium version within the app. The paid version is ad-free, offers automatic cloud backups, and allows you to customize the footer on expense reports. Potential downside: This app has no cloud backup for its data, so you need to rely on the app for storage and email yourself reports as a safeguard. Receipts by Wave is a great receipt tracking app for small business owners and freelancers who need to keep up with receipts, invoices, and bills. The app does require you to also use Wave’s free accounting software, which provides additional functionality for expense tracking and report creation. Use the app to take pictures of your receipts and it then utilizes optical character recognition technology to pull vital details from the receipt like the merchant, payment method, and total. The receipt details and image are imported to your Wave account. You can also upload receipts from other locations, including Google Drive, Dropbox, and Skydrive. Receipts are stored in the cloud, allowing you access from your smartphone or computer whenever you need it. Receipt capture capabilities are available both online and offline. If you store a receipt while you’re offline, it will be updated to your Wave account as soon as your device is connected to the internet again. You can also forward any email receipts to have them included in your account as well. Potential downside: You can only upload documents while online, so you might have to save your receipts and enter them in batches if your connection's spotty. Eliminate manual entry of your receipts by using Veryfi to scan receipts whether your device is online or offline. The app processes receipts in under 10 minutes. Keep your receipts organized so they’re easier to access for tax time. Veryfi takes privacy a step beyond other receipt tracking apps with its HIPAA and GDPR data privacy compliance. Create report and export reports in both PDF and Excel formats for offline tracking and review. You can also sync the app with several other storage, productivity, accounting, and payroll apps to make it more powerful. Quickbooks, Dropbox, Xero, Slack, Google Drive, and Office 365 are just a handful of the possible integrations. To make it easier to manage your receipts from multiple locations, you can also access your account via the Web app with the same username and password that you use for your smartphone app. If you want to go the traditional route of scanning receipts, the Brother Mobile Color Page Scanner is one of the best options. Weighing less than a pound, the scanner is light and compact, which makes it easy to carry in a briefcase or tote. Use the scanner to capture images of receipts, invoices, and bills, as well as documents, photos, and business cards. And if high-quality scans are what you need, the Brother DS-620 can scan up to 1200 x 1200 dpi resolution. The scanner is powered by USB so you don’t need access to a wall outlet to use it, and it works with Windows, Mac, and Linux. Scanning software included with the scanner allows you to scan receipts to a variety of locations—on your local device, a shared folder, email, or a printer. Once you’ve scanned your receipts to your computer or folder, you’ll have to organize your receipts manually or with separate receipt tracking software. With the Epson Workforce DS-30 Portable Document Scanner, you can scan a variety of documents up to 8.5 inches by 14 inches. Auto-size detection can detect when you’re scanning smaller documents like receipts. Additional scanning features include text enhancement and improved OCR accuracy. The scanner is lightweight, portable, and powered by USB. Just plug into your Windows or Mac computer and you have power and scanning capabilities. The OCR feature allows you to create editable text and searchable PDFs with receipts you’ve scanned. You can load scanned documents to your computer or upload to the cloud where you can access them from anywhere you have an Internet connection.